Can I Be Terminated or Fired for Serving in the National Guard? Can I be fired for serving in the National Guard? Can I Be Discrimination Against or Fired for Serving in the National Guard/Reserve? Serving in the National Guard or Reserve is a noble initiative that requires courage and honor. To give your life for the freedoms that the constitution offers every person within the U.S.’s borders. The Ultimate Sacrifice, as many so rightly put it. While it is possible for both the National Guard’s or Reserve’s members to never receive the Call of Duty – something we all wish would never happen as war is worse than a nightmare – members of both of these organizations sometimes have to take days or weeks or months at a time in order to receive necessary training if the day we need them to serve in the military ever arises and requires their service. This training oftentimes means that service members will need to miss work in order for the to receive the proper training in case the day comes wherein we need their service. One of the most common questions that uniformed members of the National Guard or Reserve may have in regards to going to training and missing work is, Will I still have my job when I return from service? It’s a very normal question to ponder because your regular pay at your normal job may be what not only sustains you but your family. And when you go off to perform the important training and drills, you will miss out on work. You may feel like your boss may replace you in your job for missing out on so much work. Fortunately, there are laws set in place which give military members from the National Guard/Reserve certain protections regarding their job protection. That law is called USERRA and does not allow for employers to terminate employees just because they are uniformed service members. Can I be fired for taking time off work for National Guard/Reserve? Who is the best attorney to sue my boss in such cases? What are the National Guard/Reserve leave laws for employers? How much time off is an employee entitled to before reporting for National Guard/Reserve service? 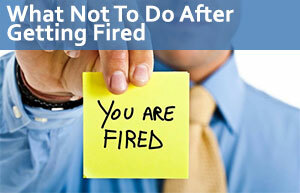 Can an employer fire you for joining the National Guard/Reserve? If I join the reserves will I lose my job? Can I hire a lawyer to sue my employer if that happens? What are the laws regarding joining the military while employed? The Uniformed Services Employment and Reemployment Rights Act (USERRA) was written and replaced old laws to “ensure that members of the uniformed services are entitled to return to their civilian employment upon completion of their service.” The law demands that employers restore the uniformed service employee’s seniority, status, and the rate of pay they would have received should they have stayed and continued to work instead of taking their military-related leave. USERRA also offers protection to uniformed against discrimination in hiring, promoting, and their continued service to the National Guard/Reserves. What are the Major Sections of the Law? There exists a 5-year cumulative limit which gives the employee protection against any discrimination. This gives the employee five retaliation-free years to serve in their necessary military Calls of Duty – whether it be a call to action or a call for training or something else entirely. It keeps them eligible for reemployment upon their return. It is important to note that scheduled training, like drills, do not apply to the 5-year limit. This 5-year limit is also a “per employer” basis. So if you get a new job after a cumulative four years of service, you get another 5-year limit. The uniformed member is required to give either a written or oral notice their employer which alerts them of their departure to their military service. There is an exception if the leave was an emergency and required their immediate departure. The employer cannot count the departure of an employee as a break from employment for the purposes of all their benefits. The employee’s service to the military must be considered service with an employer for accrual purposes. When the employee/uniformed member returns from their service, they have to report back to their employer in a timely manner. The time that is considered “timely” is based on the length of the leave, not the type of leave and requires that the employee bring the proper documentation of the service in which they partook. When I Return From Service, What Happens to My Position? When members of the National Guard or Reserve return from their training, their employer is not allowed to dismiss or replace that employee. The employee is entitled to reemployment to the job they would have had, with the same seniority and status, pay, as well as any other rights and benefits, if they would never have been absent for their military service. There must be reasonable efforts made in order to help the employee return to qualify them for reemployment. For example, if an employee was injured in training and lost the use of their legs – and the essential job functions do not require that the employee use their legs – an employer may be required to install certain equipment in the workplace to make their transition back into work successful. If it is not possible for the employee to return to their exact same position, the employer must find a position that is nearly identical to the position they held prior to their military leave. If you believe that you have been discriminated against for being a uniformed member of the military, then you may have grounds to file a lawsuit against your former employer. Located in Los Angeles, our law firm can take such cases across the entire state of California. Our attorneys offer free consultations and the zero-fee guarantee. Give us a call today to get the damages to which you are entitled.